Thank you for your question, after having a look I can see that your HP Deskjet 3630 All-In-One printer takes the HP 302XL cartridges. Thank you for your question. I can confirm these are the correct cartridges for a HP Deskjet 3630. Can I use HP J3M81AE HP 301 into my HP DeskJet 3630 All in one series? Unfortunately these cartridges are not suitable for your machine. Can I put a HP 301 cartridge in my Deskjet 3630 printer or have I only to use HP 302? The HP Deskjet 3630 All-in-One printer can only use the HP 302 or HP 302XL ink cartridges listed on this page. HP 301 cartridges aren't compaible with the Deskjet 3630 printer. The HP Deskjet 3630 wireless All-In-One printer can print, copy and scan. It comes with standard network connectivity for easy printing from anywhere. This model is also AirPrint enabled. The HP Deskjet 3630 photo all-in-one offers impressive resolutions of 1200 x 1200dpi for mono or 4800 x 1200dpi for colour, as well as decent print speed. Multi-tasking isn’t supported. The HP Deskjet 3630 All-In-One inkjet photo printer measures 17.24 x 21.79 x 10.10 inches with the paper trays extended. It weighs 9.19lbs. This model comes with a control panel with display and function buttons. 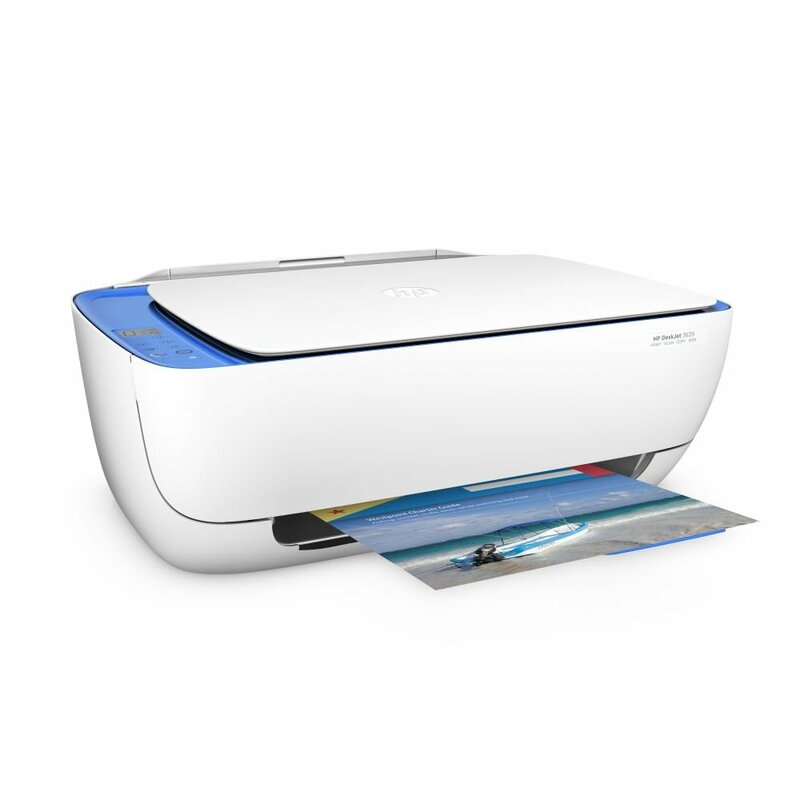 The Deskjet 3630 multifunction printer also has a flatbed scanner. For media-handling, the paper tray can carry 60 sheets at a time. Users can print from mobile devices with the HP Deskjet 3630 wireless All-In-One colour printer. This unit has a small footprint yet offers excellent features. The print speed can go as fast as 20ppm for monochrome and 16ppm for colour. At best mode, the maximum resolution is 4800 x 1200dpi for colour and 1200 x 1200dpi for monochrome. The Deskjet 3630 inkjet printer can adjust to the media as it comes with an automatic paper sensor. Multi-copying is possible on this unit too. Copy speed for the HP Deskjet 3630 All-In-One inkjet printer is a bit slow at 5ppm for monochrome and 3.5ppm for colour. This model would be better if it had a larger display and if it supported direct photo printing via a memory card reader, USB host or PictBridge interface.